Skype 7 (Skype classic) lives on as Microsoft agrees to support it even after September 1. The company still wants you to start using the updated Skype though. If you’re a longtime user (and a fan) of Skype 7—or Skype classic, as it’s better known—you’ll be happy to know that Microsoft isn’t killing the popular video calling application just yet. You might recall that Microsoft’s original plan was to stop support for Skype 7.0 on September 1 so it could direct users towards the new version of Skype (Skype 8.0). Well, Microsoft is now saying it won’t kill Skype 7 off just yet because it’s heard the clamorous cries of users. In a Microsoft Community page, the company wrote as a new reply on August 6, “Based on customer feedback, we are extending support for Skype 7 (Skype classic) for some time. Our customers can continue to use Skype classic until then. Thanks for all your comments - we are listening. Watch this space.” While this doesn’t guarantee an eternal life for the beloved online chat application, it does give it a new lease of life, even if it’s only for a few more months. Microsoft published a blog post in July, in which it encouraged users to migrate from Skype 7 to Skype 8 in an effort to “ensure that all customers have the best possible Skype experience, and that there are no quality or reliability issues resulting from old technology and new technology interoperating.” It also announced the end of support for Skype 7 by September 1. Naturally, fans of the previous version who didn’t feel up to the substantial change protested. 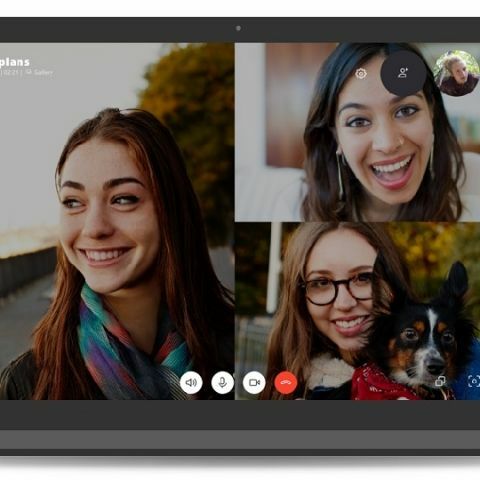 Skype 8 promises features like free HD video and screensharing calls with up to 24 participants, @mentions (messages directed specifically to a participant in the chat), a dedicated chat media gallery, and improved file sharing (with support now for files up to 300MB). It also brings in a new reactions feature that allows you to send emoticons during video calls. Clearly, it’s not enough to drive users out of the Skype 7 club. While Skype 8 shows all chats in one single window, Skype 7 has the option to make each chat a separate window. Letting go of this flexibility that Skype has offered for many years now is understandably a deal-breaker for many. But for how long Microsoft will continue to support Skype 7, only time will tell. I want to know the difference between them. how to connect another moniter screen to a laptop?